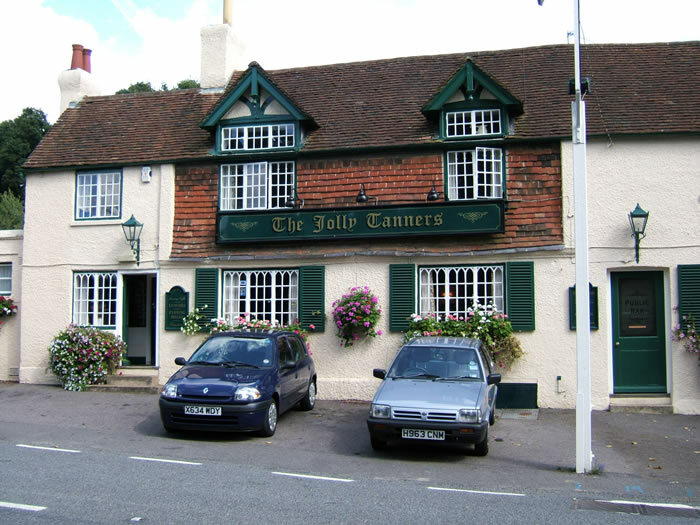 The Jolly Tanners is at one end of the large village green and cricket pitch in Staplefield and is a friendly pub with different level bar areas, two large fireplaces, and a small non-smoking dining area. Tables can be reserved but all food is ordered at the bar. Large garden with paved seating areas. The Jolly Tanners serves a great selection of real ales, normally 5-6 different beers at any one time. The pub has won numerous CAMRA awards.